I just discovered Bree Tanner yesterday at work and I read it for hours yesterday. I don't know how long it is because I am reading it for free online at http://www.breetanner.com/ (it's free for the next four weeks or so online) and I can't stop reading it! It's so good, but I know how her story ends so I am really not looking forward to that. 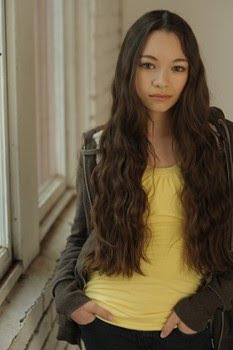 I really like her! 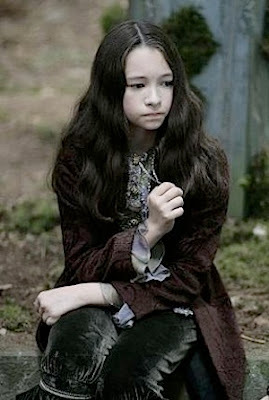 She will be played by 15 year old Canadian actress Jodelle Ferland. Oh and it's making me realize how little I remember from Eclipse too, so I plan on rereading that after I finish this and Eat Pray Love. I was planning to anyway in order to prepare for it coming out at the end of the month! I need to get on it! So, if I am a little MIA with commenting on your posts, you know where I am! With my head in a book or on the online site for Bree! Have a great Thursday! I can't wait to read it! Right now I'm listening to a book on cd, reading a book, and don't think I should add on reading this online too! Hopefully when I'm done with one of them I will read it, and you'd better believe that I'm rereading Eclipse before the movie too! I'm so excited! Ah yes Eclipse! My daughter is insisting that I take her. And hmmm...I think I have a way to make a deal with her. LOL. Thanks for your great comment! I've bought the book but haven't read it yet. And I read Eat Pray Love as well :) Have fun with all your reading! i loved it! it was a great refresher! i feel like i had forgotten so much about eclipse! Stopping by from SITS! Looking forward to reading it! Stopping by from SITS. Congrats on being selected. They spotlighted your post from February (about changing your parts). I had heard that advice before and it really does make sense. Enjoy your weekend. OHMYGOSH I CAN READ IT FOR FREE??? Mainly b/c I kind of have to use the potty. Don't worry friend, soon we'll be at the *Hugs* level. Something for you to look forward to. Or hide from. Either one. I finished it about 30 minutes ago. I loved it. I definitely need to reread Eclipse. I can't remember much about it.